Welcome to my desk. It is poo-coloured. It's where I do most of my bullshtting on my essays. Bamboo tablet: Bought this a few years back when I was in my artsy-fartsy phase. 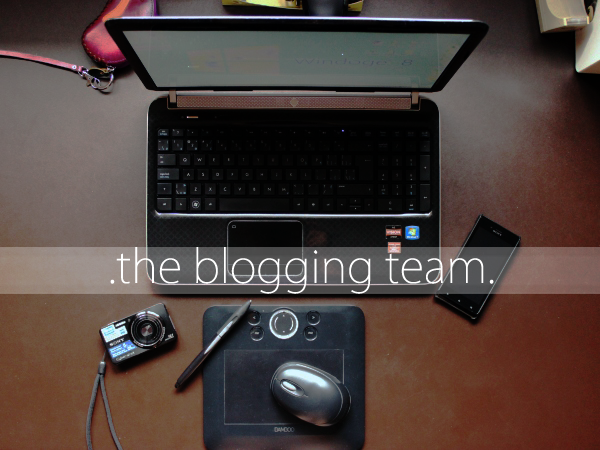 How else do you think I made the blog header? Sony Xperia J phone: NOT EVEN GOING TO LIE, IT'S THE POWERHOUSE OF THE TEAM. Twitter, Facebook, Youtube, Instagram and email alerts, ALL IN ONE PLACE!! Plate: Think of it as a plane, flying the models (aka the makeup products) to a tropical beach destination (aka the window) for photo shoots. Except a plate is, well, significantly more low-budget. 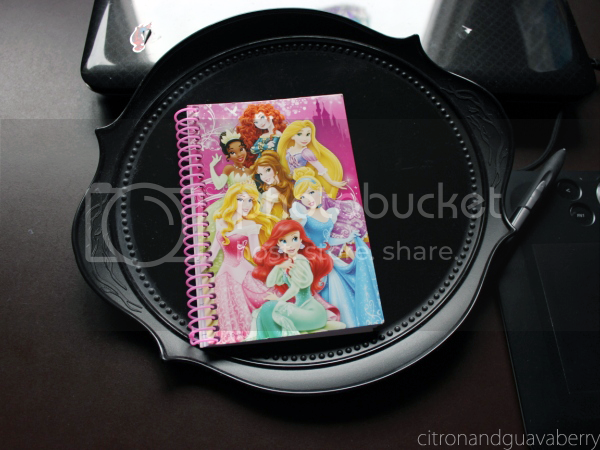 And of course, a Disney Princess notebook to jot down ideas for blog posts! DOG: "HELLO YES I CAN GRAMMAR"
Not even ashamed that I'm on my 3rd day hair, with no makeup, and in my Pocahontas pajamas. Oh yeah I got a new camera. Quick post for today; I apologize for the lack of posting + blog visiting! :( Regular blog duties will resume soon! Omg this post LOL <333 I feel you I feel you, on the exam part. Arugh can't take that stuff no more. 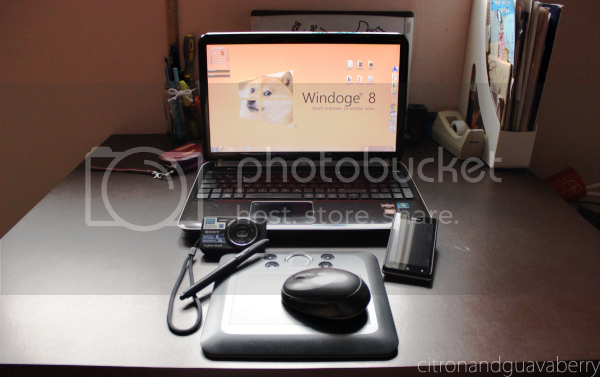 And OMGGG, I have a Bamboo tablet too, my arty phase was some serious level obsession, I tell you. D'awww thanks! DOGE IS EVERYTHING RIGHT NOW. IDK Y. Hope you stay this chirpy throughout your finals!! Thanks for this peek behind the scenes! I love these types of posts since I'm such a nosey parker haha. The humor you injected is welcome as well and you have such an adorable secretary! 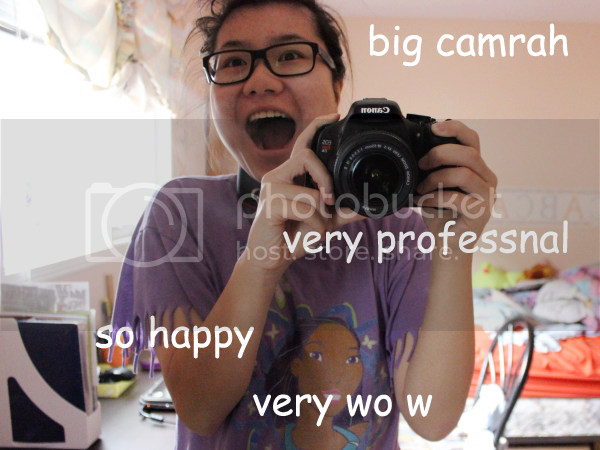 Congrats on your T3i! 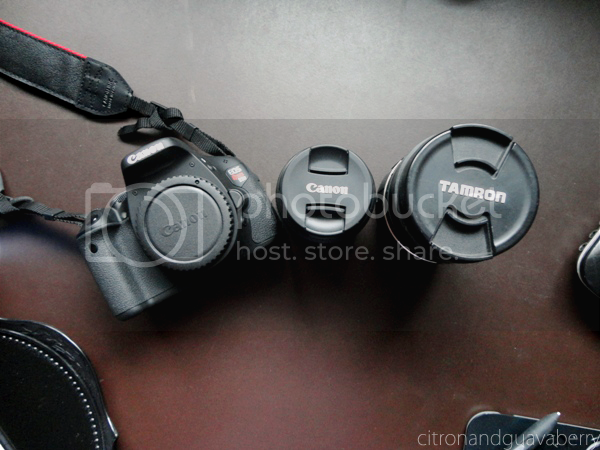 I'm a Canon girl too! 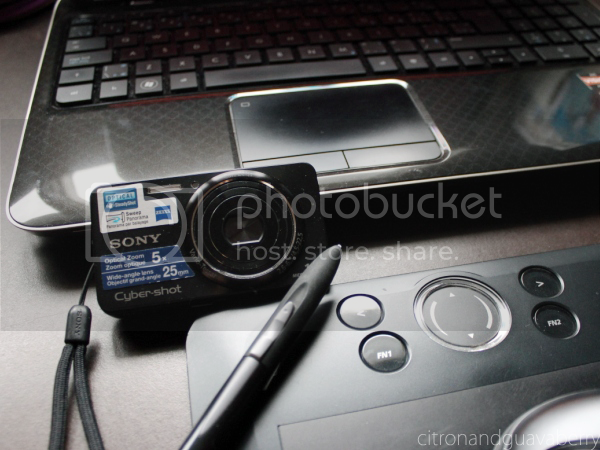 I use a 7D or my Fuji X100 for most of my blog photos. I'm Apple all the way on my computers though - iMac and iPad. Good luck on the rest of your exams! Same! I'm always interested in what camera other bloggers use! Otherwise I'd be carrying a whole bunch of products and accidentally dropping 'em on the floor! glad to see you back on the blog!!! can't wait for more posts and SUPER UNICORN GOOD LUCK on all your finals. Ha! I found this amusing. There is no way I'd put up a "just rolled out of bed" picture. My hair was a tangled, voluminous mess and I looked like I was punched in both my eyes this morning. I didn't go to bed with mascara, my dark circles were just particularly bad. I laughed at the plate part! nice team! :) good luck on your finals! was wondering where you beeeen. welcome back! :) btw i didnt expect that your desk would be so tidy, i was expecting to see lots and lots and lots of things maybe bec of the huge haul posts ^^ PS: i love the overly excited picture of you and good luck on the exams! omg you are like 1000000% more proffesional than me!! I'm not even kidding!! All I use is my mac + Phone + Camera + "Skitch" [to crop my photos]!!!!! Her back, haha. Everyone mistakes her for a boy though! NIKON D7000 IS STILL PRETTY PRO THO. I wanted a Nikon instead of Canon, haha. Messing around with the DSLR is hella fun! HOW DID I NOT SEE THIS OMG FREAKING OUT THAT I MISSED YOUR POST, AS SOON AS I GET HOME I'M GOING TO GO THROUGH YOUR ARCHIVE WITH A FINE TOOTHED COMB!!!! loved this post, gave us a little insight into the genius behind this fantastic blog, and your secretary is rather dashing might I add! well done on getting through Finals gurl!